Daniela Williams was born and raised in the Italian city of Treviso, 25 miles north of Venice, in the North-Eastern part of the Country. Her main teachers, inspirers and culinary mentors have been the late Chef Michele Organte, executive chef at “Parco Etnografico” Rubano, Italy, and Chef Benedetta Cano’, owner and chef at “Agriturismo Poggio Al Sole” in Cortona, Tuscany, Italy. In 2008, she moved to the United States and has made a home there with her husband Vince, and their sons, Jason and Nicholas. She has managed a Cooking Demonstration Department for one of the largest independent food retailers in the nation, and she has also worked with Stone Tower Winery. 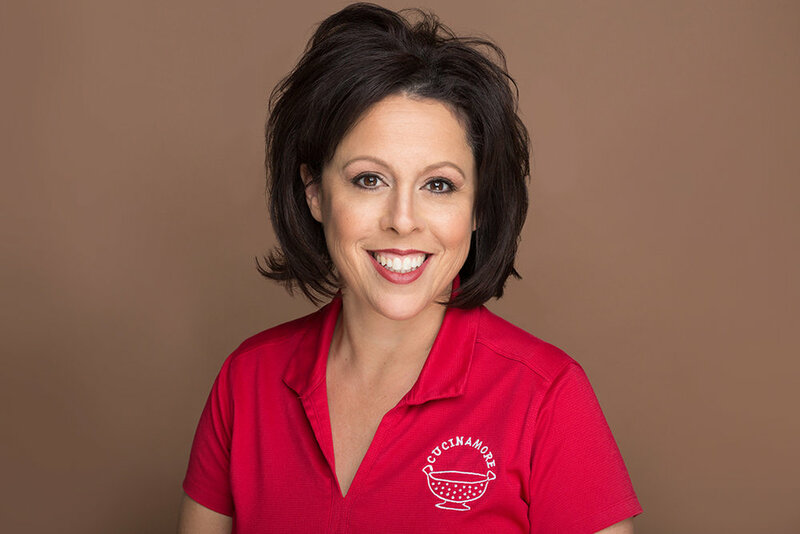 Daniela founded CUCINAMORE at the beginning of 2014, when she moved to Loudoun County. "Certificate of Culinary Arts - Professional Cook Certification"
Terri is a native Californian who relocated to Northern Virginia with her husband and son in 2009. She is a huge animal lover (especially dogs!) and nature lover, and enjoys hiking, bird watching and gardening in her spare time. She is also fond of traveling. She takes care of all the important practical details of your party and assures that everything works like a Swiss watch when we are in your kitchen. Terri keeps an eye on Daniela’s tendency to create a mess while working, and makes sure we leave your kitchen just like we found it!